Our insurance resources are here to help you make a sound financial decision when purchasing auto, life, home, health, or business insurance coverage. We break our insurance educational material into two categories. 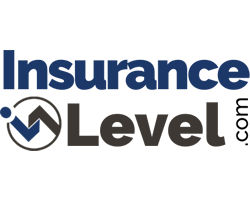 Our "insurance learning center" includes a number or articles that cover a range of topics. Each section should have an article that will help you with your buying decision, or will help you when you are selecting insurance coverage that is right for you. Our insurance resource center is more of a reference center. Whether you are looking for state insurance limits, a home inventory, or a listing of the state insurance departments, you will find this information in our insurance resource center. If we are missing something that you need, please let us know. We are always looking for items to include as an insurance related resource. Please reach out. You will get a response within 2 hours and we probably have the information to help make your insurance search a bit easier. Insurance Company Directories that include listings on Facebook, Twitter, LinkedIn and more. Many folks who are looking for insurance coverage will have questions that they don't want to ask their insurance agent. Whether they have a fear that the rate will be higher if they ask the question, or are embarrassed to ask a question of a local insurance agent who might be a neighbor or friend. Your questions can be submitted anonymously and will be answered privately or publicly. Either way, we are here to make your search for the right insurance coverage a bit easier. Insurance learning never ends. As teenagers, we feel that we know it all. It isn't until we have an accident or a fire that not only do we realize that we don't have all of the insurance knowledge that we should, but we then come to the understanding that I should have known what was and wasn't covered. Explore our insurance learning topics to gain a greater understanding of insurance coverage and common areas of concern.